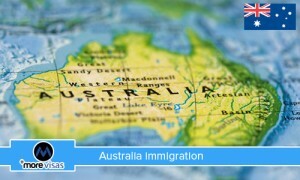 Australia is among the popular destinations for the immigrants all over the world. It provides huge prospects for the youth and skilled people to reside, work, study, and to do business. There are many reasons why Australia has been the favorite among people like its strong economy, high standard of living, quality education, immense job prospects for foreign skilled employees. Due to these factors every year thousands of immigrants are attracted towards Australia immigration. Australia is the most favorable destination for the immigrants that are attracted towards its quality education, excellent infrastructure, beautiful cities, increased employment rate and better quality of life. An individual can discover this country as a tourist, large number of students who always look to study in Australia get themselves enrolled in the world’s leading universities. Thousands of skilled employees migrate to Australia in search of high salaried jobs. Australia immigration is opening its door for many entrepreneurs who want to do business in this country. Many regions in Australia are facing the shortage of skills and this has provided an excellent chance for the skilled workers to apply for the job with the required skills that are in the list of skilled occupations. The list of skilled occupations includes employment in many sectors like IT, Engineering, Healthcare, Hospitality and Education etc. Points are being granted to the skilled aspirant who are looking to work in Australia, the candidate then prepare his/her profile and submit an Expression of Interest (EOI) through SkillSelect. There are many benefits of immigrating to Australia, it is rated as the best tourist destination among other countries of the world, it is known for its quality standard of living, for its medical facilities, students can gain quality education; skilled workers can find their choice of jobs. It is also known for its excellent legal system that provides all the necessary rights and protection to all the people living here. People can also apply for the status of permanent residency.